Captain Obvious and First Mate Jill. Business points that are worth discussing over and over until they become your culture. Jack Butala: Welcome to our show this early morning. In this episode, Jill and I talk about Captain Obvious and his first mate. We have some good stories from his show that we went to. A live that we went, Real Estate show, that we went to last night. Jill DeWit: You know what, it’s early for us, but it’s not early for everybody listening. They don’t know how early we’re recording today. Jack Butala: Before we get into this Captain Obvious business. Jack Butala: Let’s take a question posted by one of our members on the landinvestors.com online community. It’s free. Jack Butala: Well Jonathan, thank you for asking this question. I actually did a little bit of research to very thoroughly, and hopefully conclusively, put this topic to rest for everyone. It comes up probably once every other week. It certainly comes up on a ton of the Wednesday, er excuse me, Thursday webinars that Jill and I do every week, which you’re welcome to join by the way. If you go to landinvestors.com, it shows you how. But here, I’m gonna read directly from a couple of statutes and the states in question are generally as follows: Alabama, Delaware, New York, Georgia, North Carolina, South Carolina, which is the question, and a little bit of a version in Massachusetts. Here’s the deal. Like being a real estate agent, all of these statutes are written for people who represent other people in real estate transactions, like a real estate agent. If you’re representing yourself, which is really not even accurate to say. If you’re doing your own deal, you do not, generally, need an attorney. Supervised by an attorney means that there’s an unrelated, uh everybody’s unrelated. The seller’s unrelated. The buyer’s unrelated. So let me read, this made it real clear for me, let me read you this sentence out of the Alabama Statute: “In Alabama, non-attorneys can conduct closings”, period. Non-attorneys can conduct closings. However, there are restrictions both in Alabama Code and a case law on what activities a non-attorney can perform related to the closing. The section code, defined by the practice law, permits a non-attorney to prepare title abstracts and issue title insurance, provided the non-attorney does not prepare deeds or other legal documents unless the non-attorney has a proprietary interest, that’s us, in the property. I know this is a little bit boring. It’s really boring for Jill, you should see her right now. Jill DeWit: Oh my goodness. Eyes glossed over. Jack Butala: Doing your own deals every morning? Jill DeWit: Counting ceiling tiles. Jack Butala: If you’re doing your own deals, you’re gonna be okay. Once in a while, we get reports of rogue recorders, county recorders, saying you can’t submit your own deal. That’s just not true. Jack Butala: Can you do it in South Carolina supervised by an, and need to be supervised by an attorney, Jonathan? Conclusively, I believe that if you walk in the county and deed a property to your brother-in-law, you’re gonna be okay. Jill DeWit: Mm-hmm (affirmative)- We know it and one that you and I, that you’re famous for reminding us Jack is. Jack Butala: It’s Captain Obvious, by the way. Jill DeWit: It is Captain Obvious. Is so much of the times that issues will arise is if there’s a complaint or a problem. So, if we all take a step back, this is big picture Jill. Woo-hoo. Jill DeWit: Woo-hoo. Big picture Jill, so if we take a step back, and you’re doing everything right, everybody’s on the same page, you’re being really clear and concise about, you know, I’m gonna prepare the deed, let everyone know how it’s going to play out, there’s not going to be complaints or concerns, and this stuff won’t even come up anyway. Jill DeWit: And most sellers, they’re looking to you, buyers and sellers, as the expert. They’re going to trust you, and you’ve done your homework, that’s why we’re here, and you can assure them, you know, I own it outright, and here’s what we’re gonna do and it’s all good. Jack Butala: There’s a concept in accounting called a reasonable test. Where you just kinda step up, you get up from your desk, take a couple steps back, look at what you’re doing, and make sure it seems reasonable. Is it reasonable that, you know, if you look at a financial statement, that travel and entertainment is the largest expense item? No. It’s not reasonable. Maybe payroll should be. So without going over. Jill DeWit: I don’t know about that one. I thought of a whole other example, but I’ll share that in a minute. Jack Butala: Is it reasonable that a state would allow you to de-, to lop off forty acres of your farm on the back end that you’re not using and deed it to your brother-in-law? So that your brother-in-law and sister can build a little house back there? That’s what these laws are all centered around, farmland. So yeah, that’s very reasonable. You don’t need to get all kinds of people involved for that. Is it reasonable to request and require an attorney to close a deal for a skyscraper in New Jersey? Yep, it is reasonable for that. So this is Captain Obvious material. By the way, Jonathan and everybody else, these statutes are on the Internet for all fifty states. Jill DeWit: [inaudible 00:05:25] Good point. Thank you Captain Obvious. Isn’t it reasonable that we’re here in the morning and it’s really early and with my view, I’m stuck in a studio right now? I’m not sure that’s reasonable. Jack Butala: Oh, you poor thing, looking at the ocean. Jack Butala: You gonna be okay? 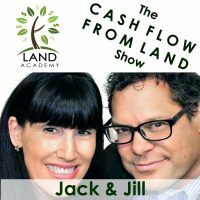 Jack Butala: You have a question or you want to be on the show, reach out to either one of us on landinvestors.com, especially if you want to tease Jill. Jack Butala: Today’s topic: Captain Obvious and his first mate, Jill. So I had call, a deal review, consulting call recently, and one of our members is sending us, I haven’t received it yet, a t-shirt called Captain Obvious. So I said, somebody sent me an email, or I responded on the internet somewhere in the comments section about, thank you Captain Obvious, because I was commenting on something. Well, I have to turn that into a show. Jill DeWit: Oh, here we are. Jack Butala: Now I would say half the stuff I say is really, really obvious, but it needs to be said. Here’s an example, a non real estate example. Jack Butala: It’s clearly obvious that everyone should get up before they go to work and work out and exercise. But do we all do it? No. Jack Butala: That’s Captain Obvious stuff right there. Jack Butala: It needs to be, you know, stated over and over and over again until it actually starts happening. Jill DeWit: Captain Obvious. If you’re unhappy in your job, you might want to make some changes. Jack Butala: Or your relationship. Jill DeWit: Oh my god, that’s obvious. Jack Butala: If you’re unhappy with one of your children, get rid of them! Jill DeWit: No, that’s not obvious. That’s difficult. I’ve tried. Thank you. Jack Butala: Did you ever hear that one story about this couple, adopted a kid from Russia? Jill DeWit: They sent him back? Jack Butala: This kid was a disaster, so they stuck him on a flight to Moscow and put a sign around his neck. Jill DeWit: I heard that that was legit, and they had to take him back. Jack Butala: Yeah, I heard that too. I don’t know. That’s a lot. I don’t know if that’s a Wives Tale. I’ve heard it. Jill DeWit: Yeah. It’s something great. It’s for families everywhere to use around the dinner table. To say, look! Jack Butala: What did your parents use to say when you were bad? Jill DeWit: Careful, you’ll find out you’re adopted, and we’re sending you back. Jack Butala: Is that what they’d say? Jill DeWit: Yeah. I’m using that. We used to say we’re gonna sell you. My dad used to say, hey why don’t you go play on the freeway? Jack Butala: My parents used to say we’re gonna give you back to the Indians. Jack Butala: I don’t think you can even say that. Jill DeWit: Oh my gosh, my mom is an Indian. I can’t do that. Not that much, but. Jack Butala: I’m going to get so much, oo, 500 emails. Jill DeWit: Big trouble now. Jill DeWit: That’s all right. It’s our show, we’re allowed to do this. Jack Butala: We’re allowed to lose all the listeners we can. Jill DeWit: Nevermind our producer’s in the next room going oh no, here we go again. Jack Butala: Yep, you guys are allowed to destroy your own show. Jill DeWit: That’s good. All right, you want to talk about last night? Jill DeWit: Because that was a whole lot of Captain Obvious. Jill DeWit: I meant you go to talk fell last night. Jack Butala: So when I went to a Los Angeles get together for real estate investors. 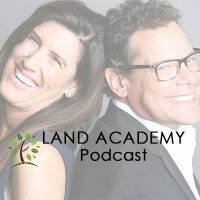 So there were a lot of real estate investors that had a ton of experience and even more real estate investors in there who had a lot more qual-, a lot of questions. And so I put my Captain Obvious hat on and said, hey, you might want to send a lot of offers out. Unsolicited offers to people who own real estate or anything else for that matter. See which ones are really interested for selling it below market value because they’re going to contact you. Some people are going to get mad, and that’s kind of funny. That’s what Jill live is for by the way, to answer your phone so you don’t have to talk to the mad people. And some people are just going to sign and send it back even though it’s half, it’s all a numbers game. All night Jill and I, and in the car on the way back, all we did was watch light bulbs go off over peoples heads. Even very experienced institutional investors. Jack Butala: Everybody in this business is looking for a new deal flow. A new to find, to review more transactions. More transactions, it’s all a numbers game, the more transactions you look at the higher chance that you’re going to get one that really works. Or 10 that really works, or 100. Jack Butala: Did you ever see a car, these car dealership commercials they say 99 dollars down, 99 dollars a month, we’ll take any trade in. You forget about your credit, we don’t need it. Well all of that’s a pile of malarkey. Jack Butala: What they’re trying to do is up their numbers. They get 100 people walking though the door the chances are of selling a car is higher than if they get 10 people walking through. Jack Butala: So, how do they do that? They fib. Jill DeWit: Right. That was interesting. By the way I want to give a quick shout out to Nathan and Michelle, thank you. We had a few of our people show up and it was really cool. So, I also want to shout out, or not shout out, but I want to point out last night was so interesting because I foun-, it’s, I think? How do I, without insulting anyone it’s harder I think for people who’ve been doing this for 20 years to really get out of their own head and accept a new way of doing things. They see like, well I’ve been knocking on doors and driving for dollars for 20 years. Well, yeah, and it’s funny because you want to go, don’t you think in 20 years it might be a better way? But they don’t get that. But what I found interesting is some of the smartest people, like the cool girl that we met last night, I think her name was Elizabeth, that work in parking lots in LA. She got it. Jill DeWit: She was probably, I don’t know, I think see’s in her 20’s. Jill DeWit: I don’t think she’s even 30. Jill DeWit: But she was a sponge. Jill DeWit: And she was so open, and she, bless her heart, she’s been doing her homework, and figuring out some good stuff, and uh, she was like, you know, so appreciative. And that’s one thing too is a nice take away from last night. Every single person that we talked to, and we talked to several people, we got the same response which was, boy am I glad I met you guys. Jill DeWit: It was work the drive. Jack Butala: You could see the light bulbs going off. Jill DeWit: I’m like aw, thank you, that’s really nice. Jack Butala: You’re concept wise and they love it. Jack Butala: So, in Los Angles, or in any big city for that matter. Really, any big, any town, you’re driving along the street and you look over and you see a house sitting there and it’s like what the heck is that. It’s like in the kid’s movie Up. It’s like, there shouldn’t be a house there. It’s all surrounded by strip malls or office buildings, or whatever. And chances are, if you go look that up, the house is multi-zoned. So it’s zoned residential that’s grandfathered in, but it’s really zoned commercial. Her idea was, make offers on specifically zoned property that could be a parking lot. Jack Butala: It doesn’t have to be a parking lot right now. What she meant was all these houses are along main streets. Jack Butala: Buy for less than the house is worth, obviously like what we do, and knock it down. Jack Butala: Knock it down and go through a use change, or possible even, if you need to, a zoning change which the city is going to do because it benefits everybody. The house shouldn’t be there in the first place. Jack Butala: And I, it’s brilliant. Jack Butala: Instead of, you know, right side by side. And then we’re talking to another kid who’s heading up a massive development project, you know, and all night I kept saying we don’t vertically build. Jack Butala: Because we respect ourselves. Jack Butala: I would rather play with he kids than build a skyscraper. Jill DeWit: The core of his development was? Jack Butala: No, I didn’t talk to him after that. Jill DeWit: And they’re trying to get all poised and ready and they have a warehouse and he’s looking for investors is why he was there, right. Jack Butala: If you want to be a drug dealer go be one. If you want to be a real estate investor you’ve found the right place. Jill DeWit: That just kind of came to here through a friend of a friend with all this new technology. Which is this new asphalt that you don’t have to redo after 10 years like all the other ones and then you just walk away and collect some money on it. Jack Butala: I just want to own it and lease it to somebody who’s going to operate it. Jack Butala: Manage the whatever. Jill DeWit: Mm-hmm (affirmative)- And I don’t have to anything to it. Jack Butala: Even more brilliant. Jill DeWit: You know, exactly. That was really, really cool. Jack Butala: It was a really good experience to go talk to new people face to face. We talk to new people all the time. Jack Butala: Internet and you know, in our group. Jill DeWit: You know what both you and I said that the big take away was about that? Yeah we met, there were a couple 100 people there and we met a lot but we still can’t reach as many as we can right here. Jill DeWit: That’s, that, that was our thing like shark- I’m glad we went there. For me personally I like to go there and see what are, you know as we’re developing all of these new products, I like to go out and see what do people need, you know, and how are they going to understand us, and how can I help them. Jill DeWit: Like offers to owners. Every single, darn, person in that room want’s offers to owners. Jill DeWit: Who doesn’t? I mean, once you understand the concept, all you gotta do is now, all right great, you know, whatever your criteria is, we’ll help you get it in the mail. Jack Butala: That’s it. They can make a lot of offers. Jill DeWit: And then they’ll call you back and you decide what you want to buy. Jill DeWit: And once you get the, once you get that first ball rolling you’re going to go holy cow, why have I been doing it any other way. Jill DeWit: It doesn’t make any sense. Why do I get up every morning like Jack says, it’s Captain Obvious, you shouldn’t be getting up every morning and getting on the computer going okay, I’ve got to get the MLS I, I’m going to set my alarm, you know you set your alarm a half-hour earlier to see what posted that night kind of thing. You shouldn’t be doing that. Jill DeWit: You should wake up in the morning and seeing what phone calls came in, and hmm, what do I want to buy? Jack Butala: And what’s in the mail. Jill DeWit: Yeah, life’s much easier. Jill DeWit: We use it every day to buy property for half of its worth, then sell it immediately. Jack Butala: You are not alone in your real estate ambition. That was a great experience last night. Jill DeWit: There was somebody, go ahead. Jack Butala: You drag me to those things kicking and screaming and every time we leave I’m like man, I’m really glad we went. Jill DeWit: I know. We walk in the door, this is Jack, I’m like we’re in the hallway coming in. Okay, this could be good, this could be good. We walk in the door he goes this is stupid, let’s go. And I’m like no, stop it. He’s like come on, you’re the social one then, you do this. Like I’m the social one. This is the funniest thing on the planet. Jill DeWit: Yeah, well, you can hold your own let me tell you. The next thing you know you’re gone. Like where’d he go? You had a good time. Jack Butala: I gathered a bunch of people for you to entertain and then I walked away and created another gathering. Jack Butala: And then you came over and entertained them. Jill DeWit: It’s funny because we’re split up and their Jack and Jill and I walk up and I’m like hi, I’m Jill. Jill DeWit: We have good thing going. Jack Butala: Information and Inspirtation to buy undervalued property.